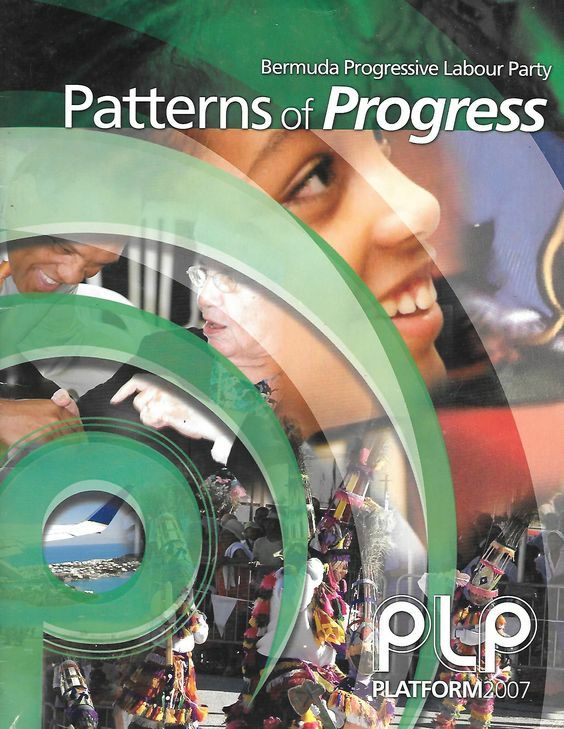 The Progressive Labour Party (PLP) is a political party in Bermuda which held power from 1998 to 2012 and is currently the official opposition. 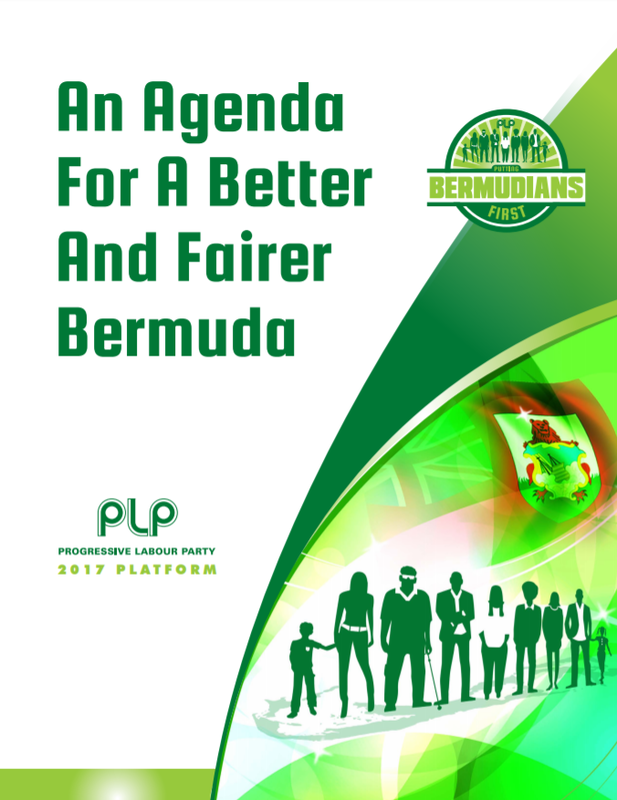 The first political party in Bermuda, and the oldest still active, the PLP was founded in 1963 by Wilfred Mose Allen, Hugh Ryo Richardson, Albert Peter Smith, Edward DeJean, Walter N.H. Robinson, Austin Wilson and Dilton C. Cann. These seven had earlier met in Richardson's garage, before holding the first formal meeting of the PLP on 10 February 1963 in Robinson's office in Hamilton. Intended to appeal to the working-class, the first election platform called for equitable taxation, an end to racial discrimination, economic parity and welfare programs, as well as housing, educational and electoral reform. The Progressive Labour Party contested its first General Election just three months after its formation in 1963. The Party contested nine of the then thirty-six Parliamentary seats. The PLP's first successful Members of Colonial Parliament (MCPs) were: Mr. Arnold A. Francis (Party Leader), Mr. Walter N. H. Robinson (Deputy Leader), Mrs. Lois Browne-Evans (Bermuda's first black elected woman Member of Parliament) Mr. Russell Dismont, Mr. Cecil Clarke and Mrs. Dorothy Thompson. Shortly after the PLP's formation, the constitution of Bermuda was altered to focus on party politics, and a General Election was called on 22 May 1968. In the election, the party was soundly defeated by the newly formed, conservative, United Bermuda Party. During the election, the party's leader, Walter Robinson, was defeated in his constituency and power was handed over to Lois Browne-Evans. 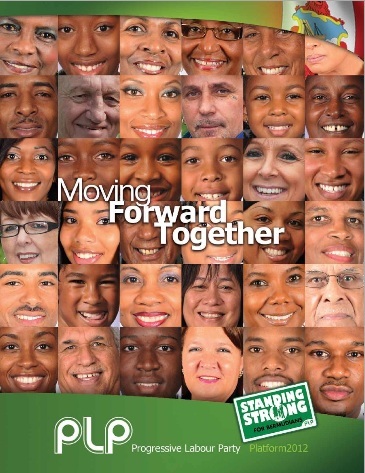 Shortly after that defeat, a group splintered from the party to form the short-lived Bermuda Democratic Party (BDP). In subsequent elections, the PLP slowly expanded its share of Parliament until 1983, where it began a noticeable slide. This was reversed several elections later in 1989. 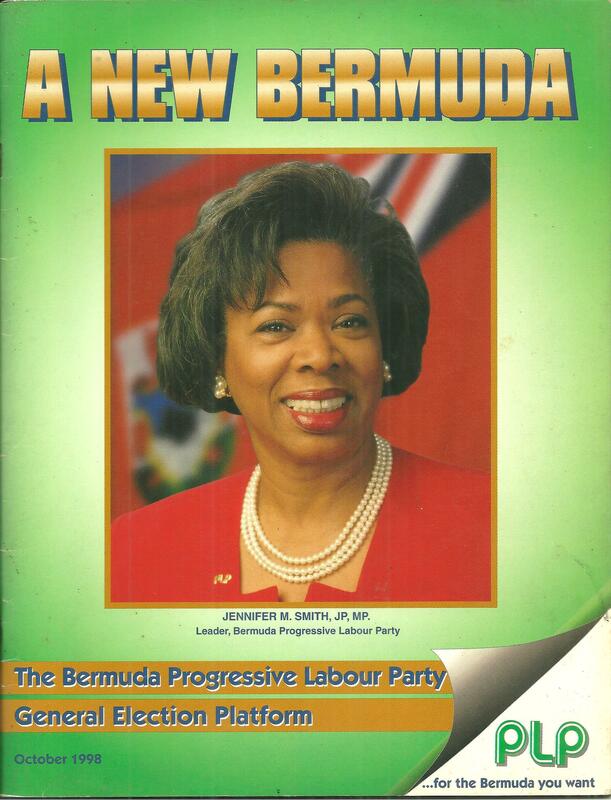 In 1996 Jennifer Meredith Smith succeeded to the leadership of the PLP upon the death of L. Frederick Wade. She led her party to its first victory in parliamentary elections in November 1998, in which the traditionally conservative United Bermuda Party, which had controlled the country since autonomy was gained in 1968, suffered an unprecedented defeat. The Progressive Labour Party again won the parliamentary election held on 24 July 2003 with 51.6% of the vote and 22 out of 36 seats, but less than a week later Ewart Brown led a party coup, and Smith was forced to resign. The two factions agreed to a compromise candidate, Alex Scott, to become Premier of Bermuda, while Brown would hold the deputy premiership. In October 2006, Dr. Ewart Brown defeated Alex Scott in an election for Party Leader and became the PLP's Leader and Premier of Bermuda. The PLP won a third term in power in the election held on 18 December 2007, again taking 22 seats. Ewart Brown quit elected politics in October 2010 and he was succeeded as party leader and Premier by Paula Cox. On December 17, 2012, the party narrowly lost a general election; Cox lost her own seat and resigned as party leader the following day. She was replaced by Marc Bean, the former Minister of the Environment, Planning and Infrastructure.